The morning began with President Obama appearing at a local community college just 1.5 miles from my house. 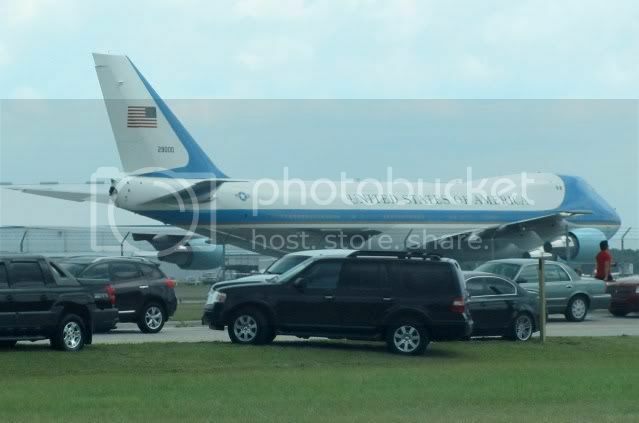 I had to officiate at a funeral in Orlando this afternoon, so while everyone was gushing over the Man, I went to see his ride on the way out of town. 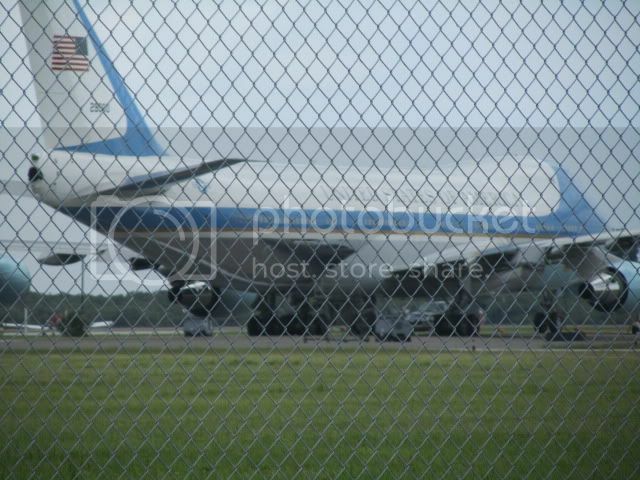 Air Force One was parked at the St. Pete/Clearwater airport across the bay from Tampa. A crowd had already gathered and I didn't have time to get out of the car to take better pics since I had a two-hour drive ahead of me. Glad I didn't linger too long, though. 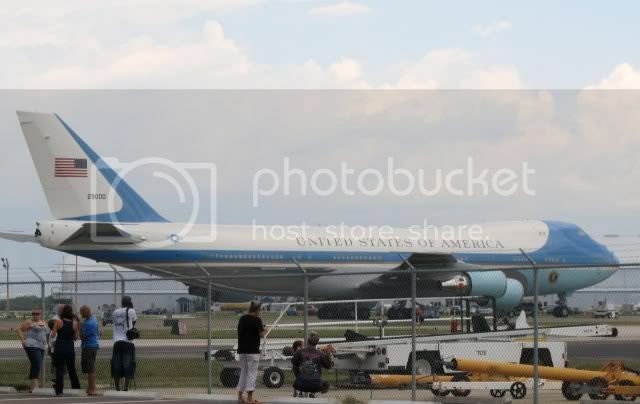 As it turns out, the President's next appearance in the day was Kissimme (a suburb of Orlando!). 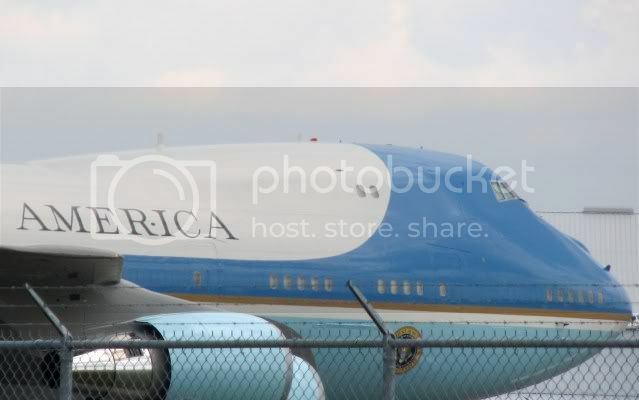 And he didn't take AF1 to Kissimmee, he took the motorcade. I musta been an hour or so ahead of him, but there was solid security from Tampa to Orlando. State Troopers parked on every overpass that crossed I-4 and PLENTY of State and local Highway Patrols very visible along the route. Some folks form my area who were headed to the same funeral got snared in the security cover while they CLOSED The main bridge across Tampa Bay so the President could cross. They sat in standstill traffic for close to 2 hours, and were very late to the funeral. Anyway, on with the pics. Again, these were all taken from my car. Still pretty cool, so I thought I would share. Really cool photos Andy! Thanks for sharing these Bud! http://www.flickr.com/photos/12100647@N08/ My F-16 And Navy A/C. photostream "Enjoy!" Mike. 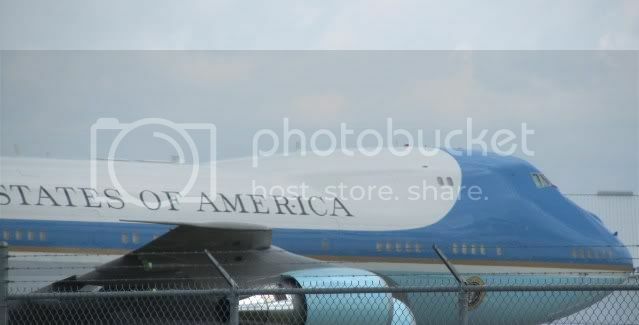 "But some people call me Jim"
Is it true AF1 will be replaced with an 747-8, or 787? Supposed to be w/a 74-8.